Hotel Picasso i Rom, Italien: Reservér nu! The group bookings are non refundable. It is not possible to cancel or modify the booking for any reason. The Hotel Picasso is conveniently located close to the Termini railway station and within walking distance to all major sights of interests. 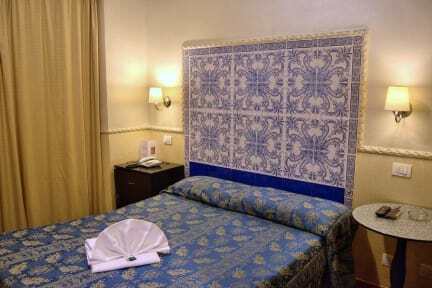 The Hotel Picasso offers comfort rooms, with modern convenience, in a cosy mediterranean atmosphere. The main reception is in Via Palermo 75 (around the corner) and it is operative for 24 hours. The payment is requested in cash on arrival. The courteous and friendly staff can give you information you need, city maps, information for the booking of sightseeing tours and airport transfer. All the rooms are tastefully appointed with private bathroom, towels, hairdryer, courtesy kit, TV, minibarand air conditioning/heating. There is also a central deposit box at the reception. The price includes breakfast, welcome drink and city map. At the Hotel Picasso we serve classic italian breakfast. With its perfect position Hotel Picasso is the right place to start your sightseeing tour of Rome. The central location combined with the cosy atmosphere will make for your unforgettable time in the Eternal City. 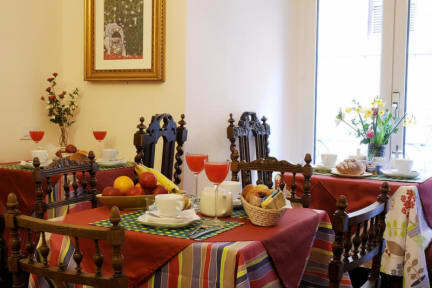 Hotel Picasso is suit for both business and leisure stay in Rome. The area is also very well connected with both airports. The Hotel Picasso is located between the main railway Station Termini, the Colosseum and Trevi Fountain, only few steps away from all the historical Rome: Piazza di Spagna and the famous Spanish Steps; the Roman Forum; Trastevere, Piazza Navona and the Pantheon; Via Veneto and the renown 'Dolce Vita'; Via del Corso, Via Condotti and Via Frattina, the focal point of the finest Italian fashion. St. Peters square and the Vatican are 10 minutes away by underground. Surrounded by typical italian restaurants, bars, shops, street-markets, the Hotel Picasso gives you the opportunity to discover Rome in the best way during the day or by night. Many touristic attractions you can explorer on foot and if you will use the public transport the bus stop is around the corner on Via Nazionale, the nearest underground stop is within few steps on Piazza della Repubblica.